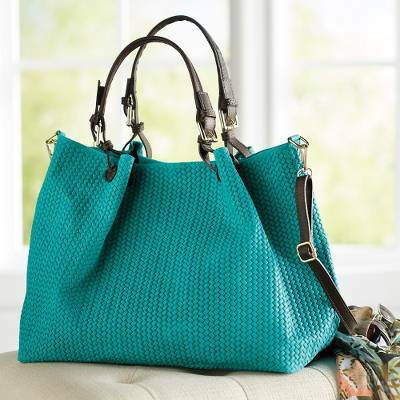 Italian Herringbone Suede Travel Bag in Turquoise, "Italian Herringbone"
This supple, herringbone-printed suede bag has more than enough room for a busy day’s essentials but doesn’t skimp on style. Handmade of soft leather in Florence, Italy. The removable shoulder strap can be worn across the body for extra security.